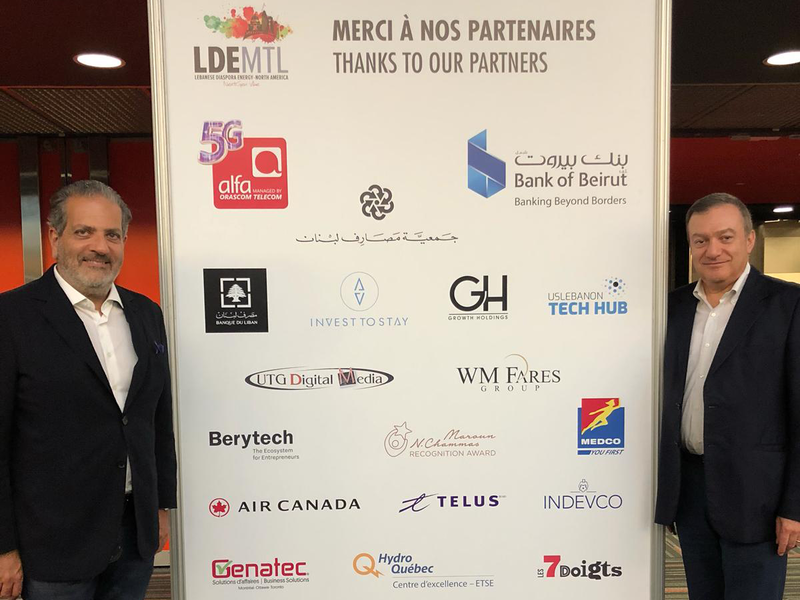 In line with the mission to support Lebanese innovation and excellence from across the world, the Maroun N. Chammas Recognition Award partnered with the Lebanese Diaspora Energy conference, North America edition held in Montreal from September 14-16, 2018. Being aware of the value that the Lebanese diaspora in the world represents, and the need to foster Lebanon’s relationship with them on meaningful and sustainable grounds, the Lebanese Ministry of Foreign Affairs and Emigrants started in 2014 the Lebanese Diaspora Energy conference (LDE) in Lebanon. This unique event has become an annual ritual gathering eminent people of the Lebanese Diaspora in Beirut to celebrate their stories of success and engage in a strong and symbiotic partnership with their fellow countrymen, to seek investment opportunities in Lebanon. As part of its roadmap aspiring to shorten the distances between the Lebanese Diaspora and Lebanon, LDE makes yearly the journey to various destinations in the world, where regional conferences are held to promote the concept of “Lebanity”, to encourage the Lebanese Diaspora to visit and invest in Lebanon, and to celebrate their stories of success.